Bulldog Movers has plenty of storage units available near Roswell, Georgia. Unlike other storage companies in north Georgia and elsewhere, we don’t just hand you a key and show you to a dark, damp room. 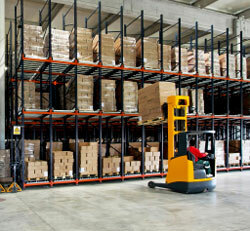 Instead, we provide superior storage space that will be protected against theft and weather damage. When the time comes for you to have the items stored in our facility brought to your new home, apartment, or business, allow Bulldog to handle the move for you. We offer top-quality moving services and can provide an ideal relocation solution for you. Whether you’d like us to move your items to a location in Roswell, elsewhere in Georgia, or even across the country, we can get the job done professionally for you. If you are interested in storage units near Roswell and believe Bulldog to be your solution, please call or e-mail us today. We’ll gladly provide you with additional information about our storage facility, as well as all the other services we offer.